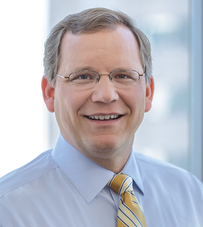 Virginia’s Attorney General provides legal advice and representation to the Governor and state agencies, enforces the state’s laws, and argues the state’s cases in court. Attorney Generals have filed briefs on issues from Obamacare to climate change and immigration policy. This guide outlines the positions of Virginia’s 2017 Republican and Democratic Governor candidates. For printable PDF and mobile versions, see candidate guides. Herring: No. Has fought to defend women’s access to abortion. Climate Change: Support Virginia Clean Power Plan and participation in U.S. Climate Alliance, a coalition of states committed to climate change action? Support participation in regional interstate initiative to limit levels of greenhouse gases by putting a price on carbon? Adams: Opposes regulatory efforts that he believes will harm coal industry, kill jobs, and drive up electricity cost. Opposes participation in regional initiative. Herring: Yes. Issued advisory that localities can remove statues. Contraception: Employers can withhold employee contraceptive coverage if they disagree with it morally. The Supreme Court permitted this in their Hobby Lobby ruling. Herring: No. Criticized Adam’s stand, supported Obamacare’s rules to require contraceptive coverage be included. Herring: Yes, supports nonpartisan redistricting. Adams: Personal belief that marriage is “between one man & one woman.” Would respect VA Constitutional amendment to allow, but sees Supreme Court decision as “totally made up”. Gay Rights: Should transgender individuals be banned from the military? Adams: Unclear, but views Herring’s action to block ban as overreach. Herring: No. Joined other AGs to ask Congress to block military ban. Herring: Supports universal background checks, reinstating “one handgun per month” law, and better gun safety technology. Herring: Supports both ACA & Medicaid expansion. Herring: Fund. Joined other AGs in legal challenge to attempts to defund. Immigration: How to respond to America’s 11 million undocumented residents, including “DACA” recipients or “Dreamers,” who grew up in the US after being brought here as children? Herring: Joined other AGs to defend DACA program. Supported in-state tuition for Dreamers. Herring: Wants to evaluate experience of other states before changing VA laws. President Trump: Response to President Trump’s actions and policies? Voting Rights: Support Gov. McAuliffe’s restoration of voting rights to 156,000 ex-felons who’ve completed parole and probation? 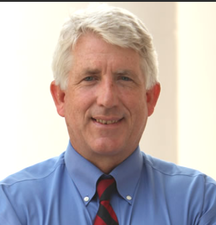 Adams: Unknown, but criticized Herring for refusing to personally defend Virginia’s law. Herring: Opposes them, voted against Virginia’s strict ID law when in the legislature.